On February 3, 1978, Trooper Champy heard a call for assistance of a motorist whose car had been struck by another motorist. Trooper Champy, along with fellow Trooper Korbett pursued the fleeing vehicle and eventually stopped it. 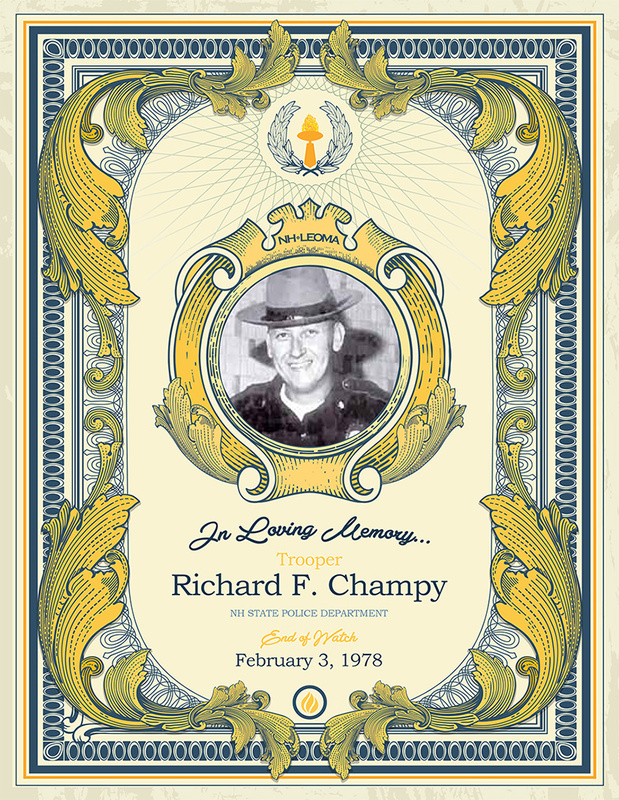 During a struggle to arrest the passenger of the vehicle Trooper Champy suffered a fatal heart attack. He was 32 years old. He is survived by his wife, Joyce, and their two daughters, Deborah and Megan.